Less than a decade, few delivery apps made a drastic change in the industry, which allows customers to have lunch to laundry at their door step. Some of the delivery start up allows you to avail local services at your door rather going out and pick it up. Here I would about some delivery apps that allow you have goods fast by tapping away. SeamlessSeamless is an online food ordering app allows you to order food from local restaurants by tapping away. 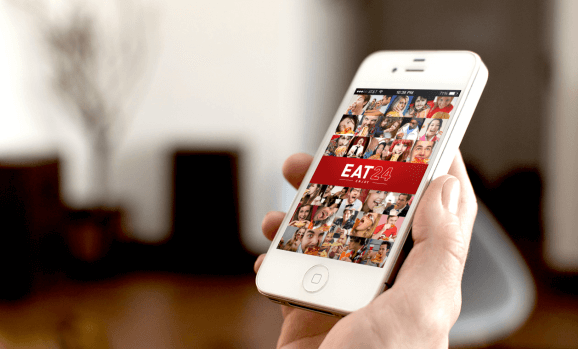 This app is available in many in many cities in the US, where user can enter the location and seamless will return to the list of restaurants to avail food to your address. At many restaurants, This app used to deliver food order at restaurants. Postmates is an on-demand delivery app available on both android and IOS which allows to avail meal, groceries, office supplies or anything. Though Postmates and Apple could not confirm it’s partnership, Apple customers can avail anything via postmates app. It is being different from Seamless and Postmates delivery apps which operates their service only in San Francisco. It makes three different meals every day and delivers them on-demand during lunch and dinner hours. The customers can choose anything from three meals dishes offered on that day. Spoonrocket is one among food delivery app, your order will be delivered to your curb within 10 mins. For each meal you ordered, Spoonrocket app has an option to donate “a child in need”. It is a hyper on demand delivery solution delivers healthy food at an affordable price, which is more reliable and cost effective way to have a hot meal at door step.